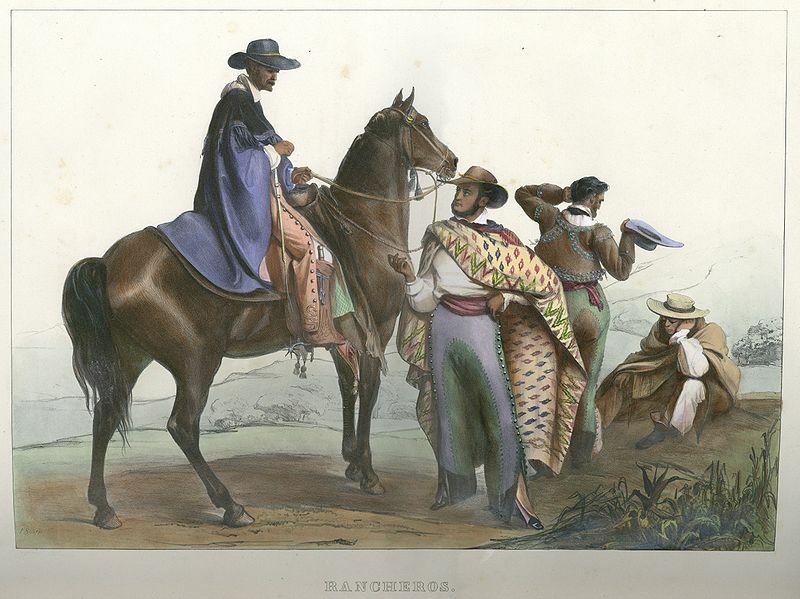 Gente de razón is a Spanish term meaning ¨reasonable people,¨or more closely, ¨people of reason.¨ It’s the term the colonial Spanish used to differentiate themselves from indiginous peoples they were subjugating acculturating. Bancroft throughout Volume I gives counts of colonial white, which he equates with gente de razón. In separate categories, he lists neophytes (converted indians) and gentiles (Indians still living in rancherías). But you have to wonder who the reasonable people are in this first period of California’s western occupation. Occasionally, a few indians, and even sometimes larger groups, escaped from the missions to live back in their native villages. Up until 1800, the Spanish government forbade troops from being used to return the Indians to the mission. The civil authorities were still under the impression that Indians ought to be free to choose whether to convert to Catholicism. Which seems reasonable. But the Franciscans would sometimes insist, and soldiers would be sent to round up the escapees. Sometimes government officials would be concerned about this practice, so they would interview the captured escapees to ask why they ran away. The answer? Because they were overworked, underfed, occasionally flogged and forced to work in shackles, and they were afraid they would die if they stayed because so many of their relatives and friends were dying every day of various diseases. Which seems to me to make running away a reasonable response. The priests were forbidden to punish returned runaways, and instead directed to treat them with extra kindness to entice them to stay. Bancroft is skeptical that this happened in every instance. It’s interesting to note that many of the Franciscan missionaries who came to California left as soon as they could. Others sought to retire early claiming hardship. Still others were removed, some for insanity, and one or two because they were too punitive zealous to the natives even for Franciscans. In one case, a missionary (Padre Antonio de la Canception Horra) was deemed insane by his colleagues and sent back to Mexico. He sued to have himself declared sane, claiming that the real reason he was removed was because he complained about the poor treatment of the neophytes. After a lengthy review, the Viceroy and the Franciscans found there was no basis to his claims (Bancroft 587-596). From other sources, I know that after 1800, the treatment of indians worsened, more died, and soldiers went more frequently and further afield to find runaways and to recruit more forced labor neophytes. None of which really seems very reasonable at all.